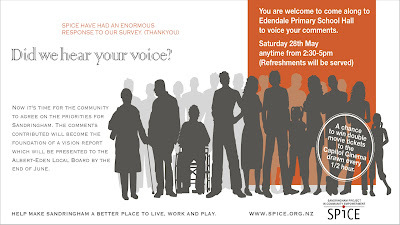 The forecast has sun tomorrow, so we will have the festival this Sunday rather than fighting the stormy weather today. 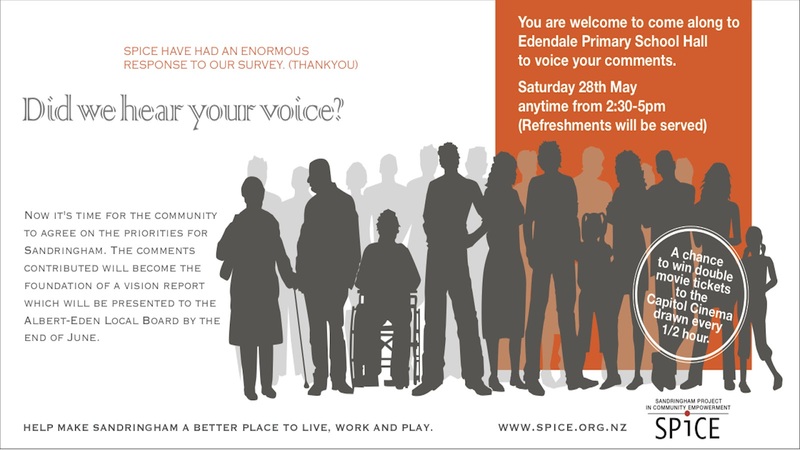 We hope that you can make it along! 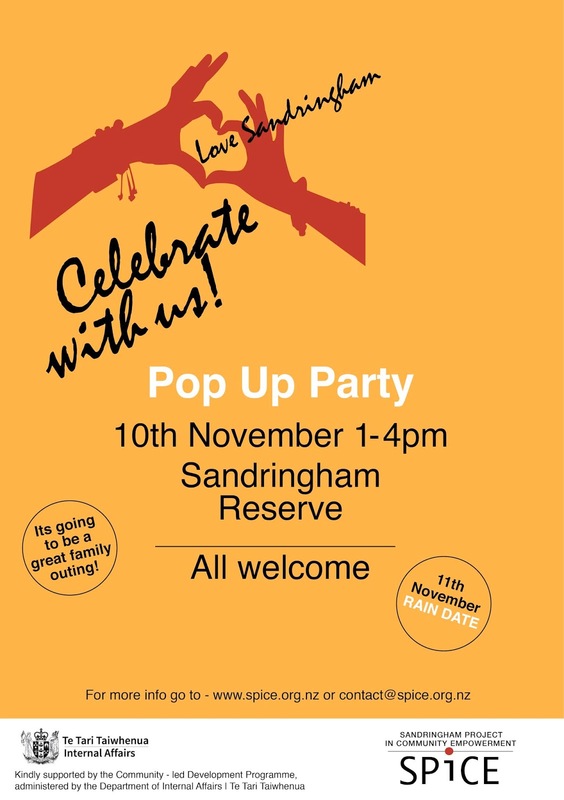 Come along to enjoy the last blooms of summer, celebrate Sandringham and help create Auckland's only annual floral carpet! 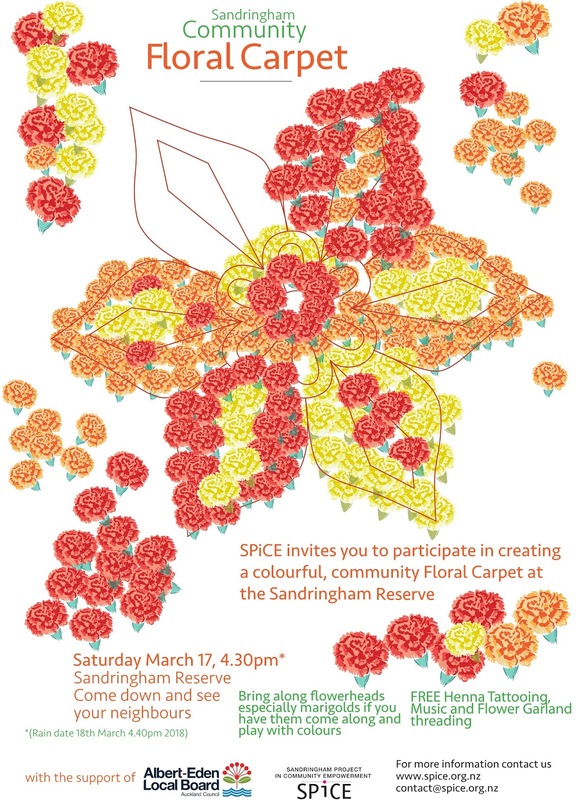 SPiCE invite you to Sandringham Reserve (in the Sandringham Village shops) Saturday 9 March to create a colourful community floral carpet. If you've been growing marigolds (or any flowers) bring some flowers down to the Sandringham Reserve to add your colour to the carpet. 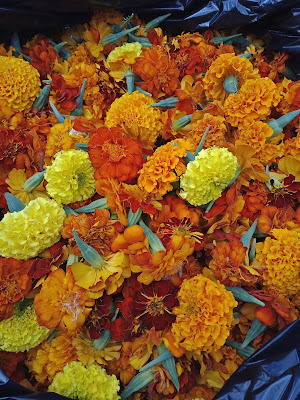 We will also have buckets of beautiful marigold flower heads for everyone to use. 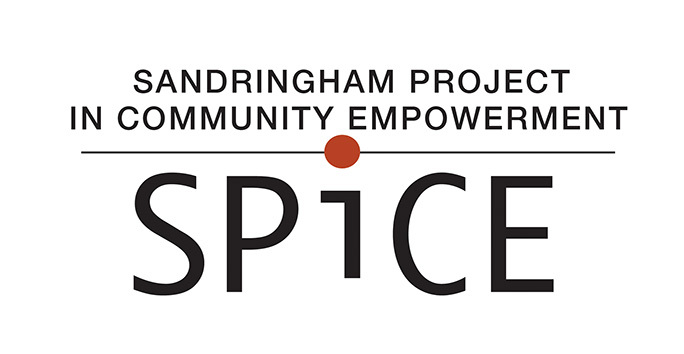 There will be free ice cream, a dance performance by Tapasya School of Classical Dance, and a chance for you to talk with Urban Beekeepers on the day. Help create Auckland's only annual floral carpet and celebrate the colourful blooms of summer before they go! Thanks again for all your ideas for Sandringham Reserve, it was a great community-led project. 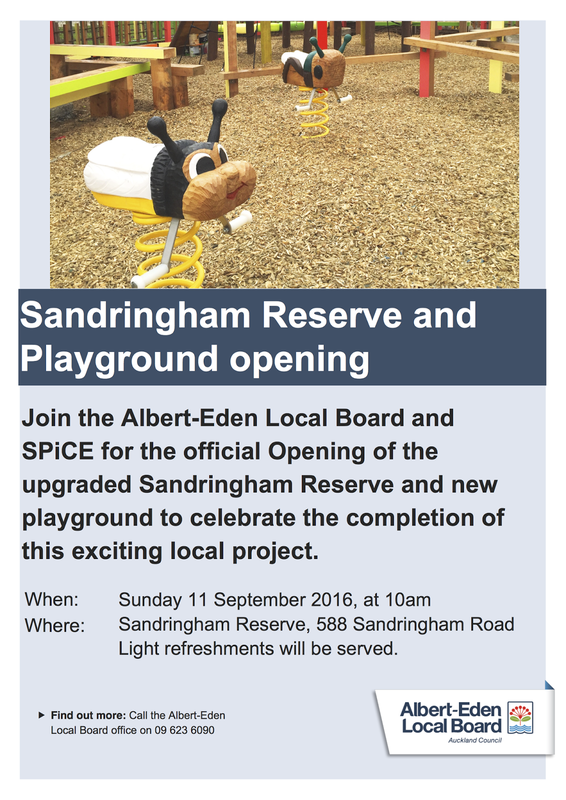 The construction is just about finished and the big re-opening is almost here. 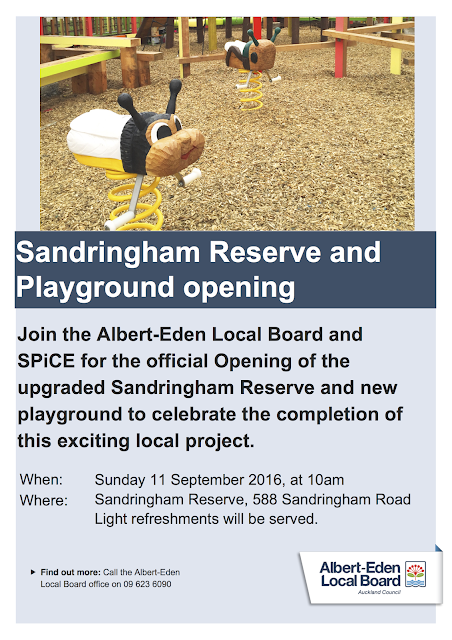 Join us on 11 September to celebrate the new reserve.